Availability: DVD and VHS. Not common, but getable. Similar Films: It’s like one of those “mosaic” films that show a bunch of seemingly-unconnected dramatic situations and by the end you see how they’re all connected into a bigger story, like MAGNOLIA, BABEL, NASHVILLE or AMORES PERROS. So it’s like that, only in ROSELAND, the stories don’t interweave and nothing exciting really happens. 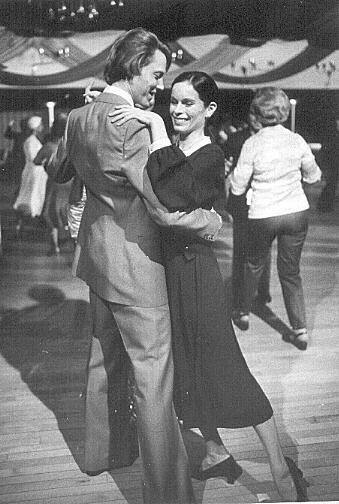 Movie in a Sentence: It’s three vignettes: The Waltz, The Hustle, and the Peabody, all about dancing, finding a partner, losing them, getting old, the fear of death, and somehow carrying on, all set in the Roseland Ballroom in New York City. Should You Watch? : Nah. You could watch the Walken one, The Hustle, if you want. It wouldn’t kill you, much. It’s about fifty minutes long and it is fun to see him as a cocky young ballroom-dancing gigolo. The other stories in it aren’t so much bad as they are slooow. And depressing. There are some charming moments, but, ugh! There’s only so much lonely old people slow dancing to Lawrence Welk I can take. 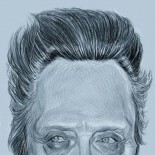 Walken Content: Of the fifty minutes in the Hustle segment, you can count on a solid thirty minutes of Walken-ness. He is the lead in the second of the three stories. He dances a bit, but not as much as I expected, and even then, he never “hustles”. 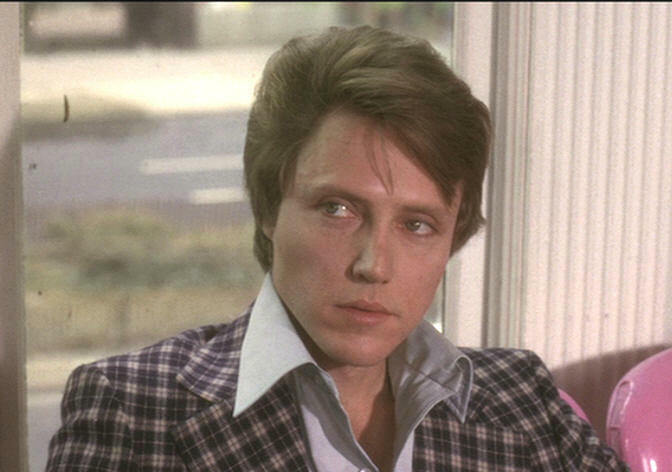 So if you’re looking for a young Walken doing some kind of John Travolta/Saturday-Night-Fever-thing, then think again. This isn’t that kind of movie. Now, if you really want to see Walken dance well, watch PENNIES FROM HEAVEN, where he has a small role playing a smooth-talking, tap-dancing pimp, out to recruit Bernadette Peters. 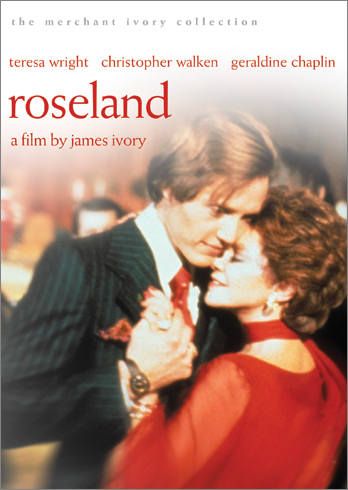 In Roseland, he mostly does the waltz with a parade of catty, tacky-dressed, unattractive women. That is his function. He is “Russell”, a young former-dance-prodigy-turned-gigolo, torn between his attraction to the new girl, and the financial security of his aging, dying sugar-mama. BAM! That’s how it’s done. She belongs to Walken now. Take notes. He’s one smooth smoothie. This entry was posted on April 7, 2012 by Something Something (todd) and tagged dance, drama, geraldine chaplin, gigolo, jacobi, lead, Merchant Ivory, professional dancer, Russell, Walken, Walken Film Review.